Beth and I, and our dog, Taylor, went camping in Vail, Colorado in June of 2016. 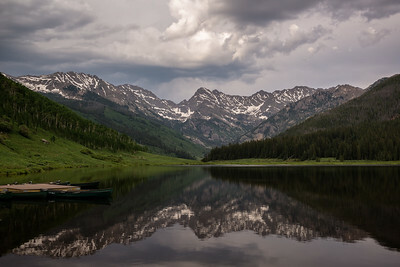 This was our first time exploring this small part of the Rocky Mountains. We setup camp at the Gore Greek Campground. 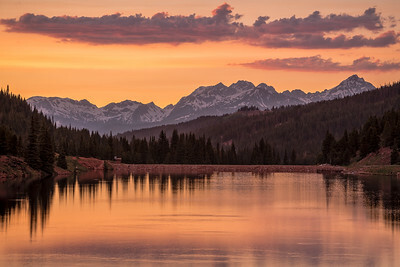 I had the opportunity to go out and photograph every morning and most every evening and was rewarded with some great scenes. 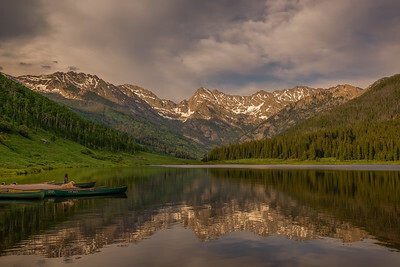 Some of the locations included Gore Greek, Piney River Ranch, Black Lake, and views off of Shrine Pass. 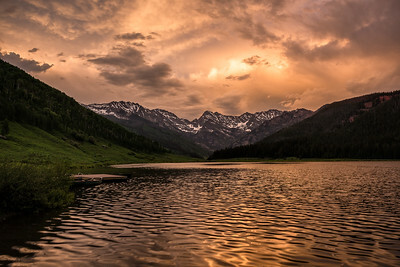 A golden sunset at Black Lake in Colorado near Vail. A beautiful view of some mountain peaks, but no clue which ones! 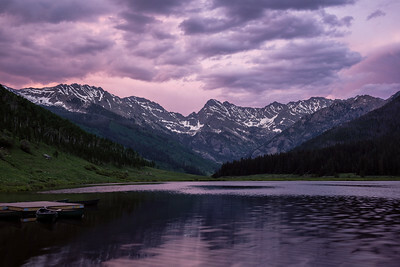 The golden sunset at Black Lake near Vail, Colorado is now cooling down as the sun continues to set showing some pink and purple hues in the clouds and reflecting on the water. 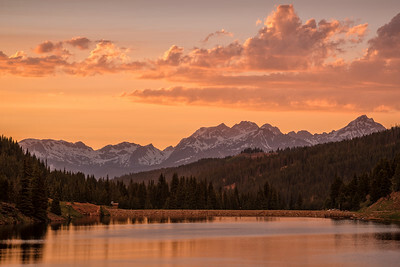 Beth and Taylor enjoying the sunset view of the Gore Range of the Rocky Mountains at Piney River Ranch near Vail, Colorado. Storm clouds moving in and choking out the sun at Piney River Ranch. But storm clouds can bring some really great photographic opportunities! Stay tuned for more photos from this location as a lot changed over the next 90 minutes from the time this photo was taken at 7:16 pm. 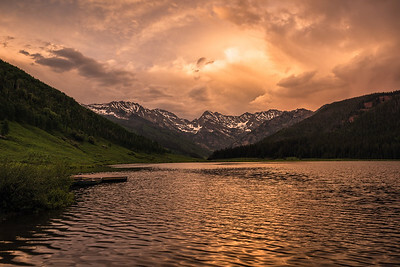 7:52 pm, storm clouds still moving in but now the sun has broken through at Piney River Ranch, casting some nice light on some of Gore Range mountains. 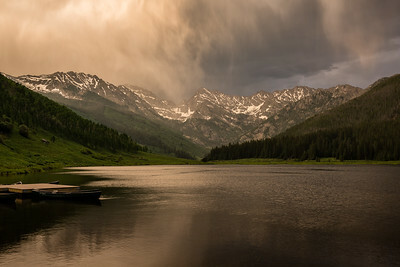 7:59 pm, storm clouds started dropping rain and the wind began to blow across the lake at Piney River Ranch, all while the sun cast nice light on a few of the Gore Range mountains. 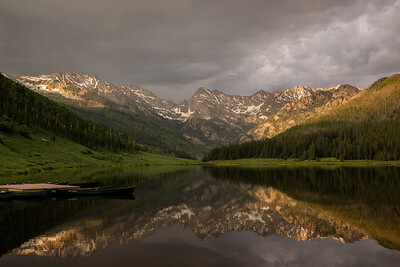 8:26 pm, the rain storm passes and the sky begins to glow at Piney River Ranch, reflecting some beautiful warm light on the lake. 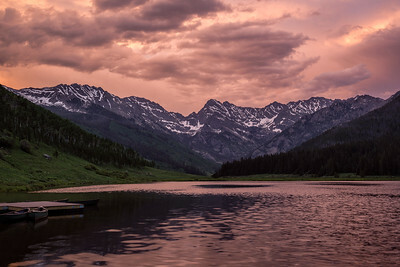 8:29 pm, the rain storm passes and the sky begins to glow at Piney River Ranch, reflecting some beautiful warm light on the lake. 8:37 pm, civil twilight has just begun at Piney River Ranch. 8:40 pm, civil twilight continues at Piney River Ranch.